Obama and Romney square off on just how much to tax the rich and the middle class in terms of income, investments and estates. Both President Obama and Mitt Romney want to change the income tax code in big ways. 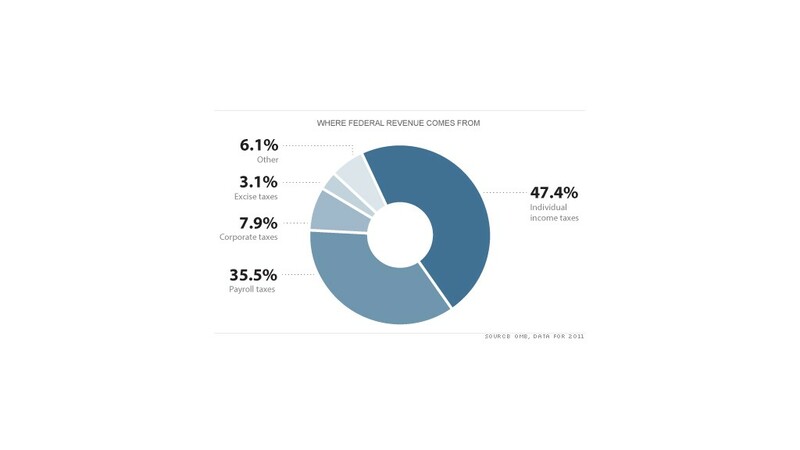 It accounts for nearly half of all federal revenue. But tax experts and policymakers say that money could be generated in ways that are fairer, simpler and more conducive to economic growth. How best to achieve those ends, however, is the subject of endless debate. An interim step in that debate is just what to do with the Bush-era tax cuts, set to expire this year. Here's a rundown on the individual income and estate tax proposals made so far by Obama and Romney. Individual income tax rates: They are currently 10%, 15%, 25%, 33%, and 35%. Those rates are scheduled to expire at the end of the year and higher rates will take their place. The increases would affect those who report wage and business income on individual returns. Obama: Would make those Bush-era tax rates permanent for everyone except those making more than $200,000 ($250,000 if married). For those high-income households, Obama would preserve the Bush tax rates at the low end (10%, 15% and 25%) but raise the top two rates to 36% and 39.6%. Romney: Would reduce each of the Bush-era income tax rates by 20%. So the top rate would fall to 28% and the bottom rate would fall to 8%. Alternative Minimum Tax: Currently, unless Congress makes special adjustments for inflation to the amount of income exempt from the AMT, the so-called wealth tax would hit tens of millions in the middle class. Making the adjustment is costly; getting rid of the AMT altogether is really costly. Obama: Would permanently adjust the AMT for inflation. Romney: Would abolish the AMT. Investment income tax rates: Long-term capital gains and qualified dividends are currently taxed at 15%. Interest is subject to ordinary income tax rates. For those at or below the 15% income tax bracket, however, they have a 0% capital gains and dividend rate. Obama: Would raise the capital gains rate to 20% and tax dividends at ordinary income tax rates for those making more than $200,000 ($250,000 if married). Romney: Would maintain the current 15% investment income tax rate, but exempt from taxation all capital gains, dividends and interest for those with adjusted gross incomes up to $100,000 ($200,000 for married couples). Given that Romney has said he would like to repeal the new health reform law, if he succeeds in doing so, that would result in the repeal of the new 3.8% Medicare tax on investment income for high-income households, which the health reform law created. The new tax is scheduled to go into effect for the first time in 2013. Carried interest tax rate: Managers of private equity, venture capital and hedge funds are taxed at 15% on the portion of their compensation known as carried interest -- which represents a share of the profits from the funds they manage. 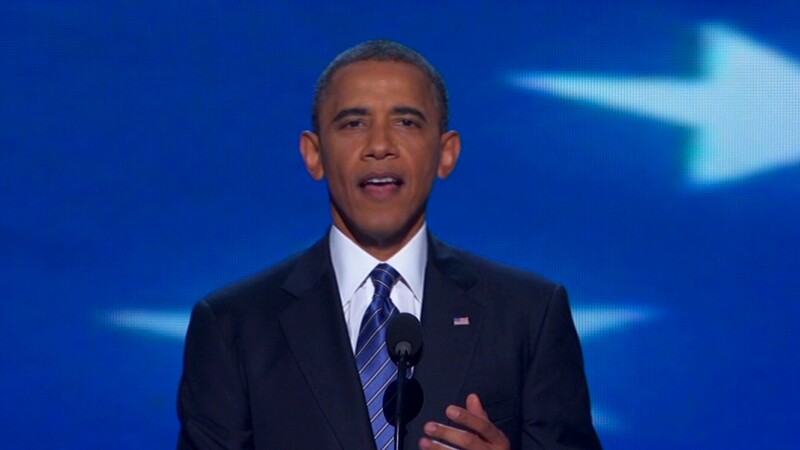 Obama: Would tax carried interest as ordinary income, meaning rates for fund managers would more than double. Romney: In the past has said the rate should not be raised. But during this campaign cycle, Romney's advisers have left open the possibility that he'd consider increasing the rate. Tax breaks: Tax credits, deductions and other breaks reduce revenue by more than $1 trillion every year. To pay for lower income tax rates and reduce deficits, many breaks -- including the largest and most popular -- have to be eliminated or curtailed, experts say. Obama: Has proposed limiting the value of itemized deductions and other tax breaks such as exclusions for those with adjusted gross income over $200,000. Today, many filers in that group can deduct 33% or 35% of a qualified expense. Obama would limit that to 28%. Obama also has proposed making permanent some expanded tax breaks for the middle class, such as one for college costs. Romney: Has failed to specify which tax breaks he'd eliminate or reduce to help pay for his proposed tax cuts. He has suggested that he would limit them for high-income filers, but has offered no details. Economist Martin Feldstein, a Romney campaign adviser, noted in a recent Wall Street Journal editorial that he would keep all deductions but limit their value to a small percentage of a taxpayer's adjusted gross income. Estate tax: Until the end of this year, only estates valued at more than $5.12 million are subject to an estate tax up to a 35% top rate. Barring congressional action, all estates worth more than $1 million will be subject to the estate tax at a top rate of 55% next year. Obama: Would reinstate the estate tax at 2009 levels -- meaning estates worth more than $3.5 million would be subject to the tax and face a top rate of 45%. Romney: Would repeal the estate tax but preserve the gift tax rate at 35%.